Those who regularly intercede are constantly standing in the gap between man and God, holding up people, events, and circumstances to His notice. It’s exhilarating and exhausting all at the same time. Low-grade fever. One intercessor said he felt like he had a constant fever of needs going on in his spirit. Not enough to sideline him, but enough to wear on him. Similarly, a woman said she felt like the petitions were hovering around her like a cloud all day. Guilt. Some intercessors were dealing with guilt because they felt inadequate to meet the heavy needs that were presented to them. Spiritually drained. Some people admitted to being drained. Frequent intercession had extracted a toll on them that they weren’t recovering from. Overwhelmed. 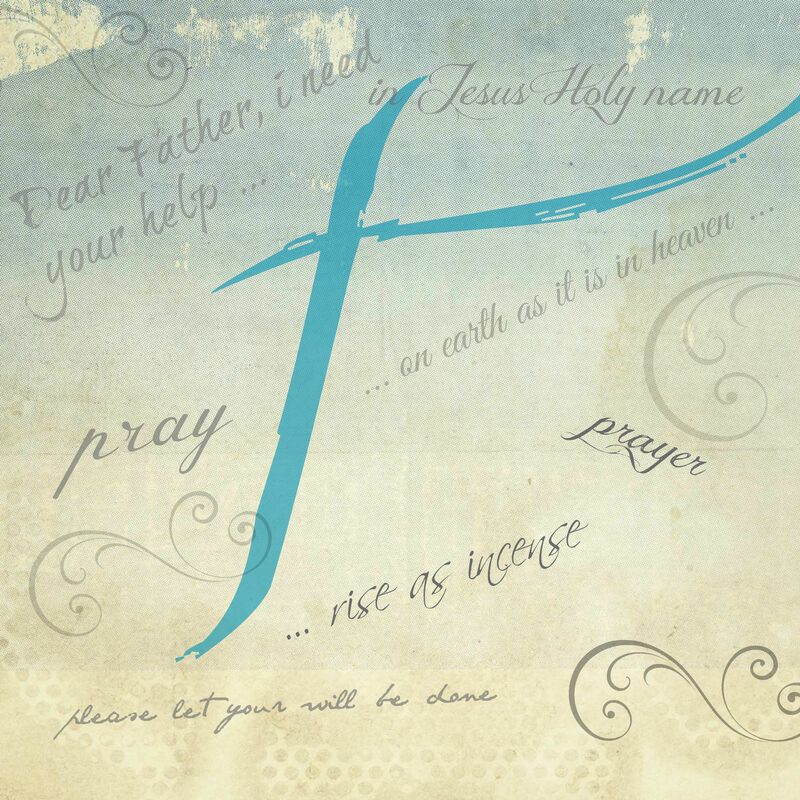 A few confessed to feeling overwhelmed by a prayer list that had grown to huge proportions. Sharing these struggles with each other exposed the wounds to God so that he could start the healing process. It was clear that we pray-ers needed some TLC ourselves. Intercessors need a time of rest and retreat to recharge spirits and souls. When possible, periodically attend a weekend or daylong retreat for some TLC. 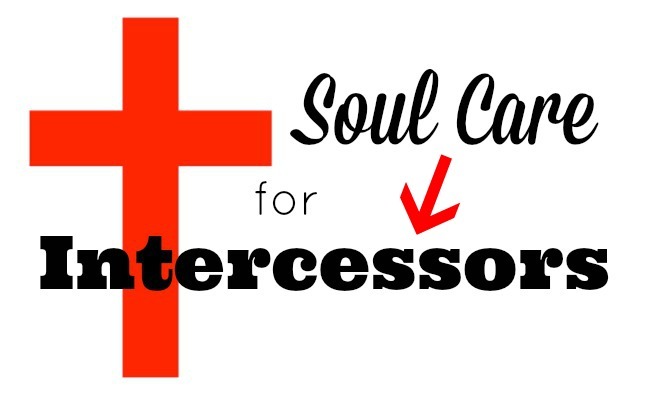 Pray for intercessors. We were so busy praying for others, that we were neglecting to pray for those who were interceding. Remembering to cover each other in prayer can supply a needed boost to a battle-weary pray-er. Periodically debrief with other intercessors. Sharing each other’s burdens can be a help. This is not meant to be a gripe session but a place to air any concerns or stress you may be carrying. Pray with a partner. For protection, when possible intercessors should pray deliverance type prayers over others in the safety of a small group of other pray-ers. Several times a week, I have added quiet listening to my devotional time with God, and I journal what God brings to my mind. It keeps me connected to Him and opens me up to His plans. No matter how long your prayer list may be, don’t neglect sitting at Jesus’ feet. That takes priority over prayer requests and actually feeds into the ability to be directed by the Holy Spirit in knowing how to pray and which requests to pray for. 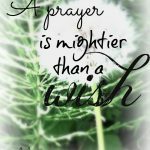 You do not have to pray for every request every single day. Let God direct to what is most important for that day. Remember that God is calling you to Him first and to pray for others second. Overall, remember that God is calling you to Him first and to pray for others second. At the end of our prayer meeting, some common helpful tips emerged. We are standing on holy ground. Offering ministering prayer or intercessory prayer for others is a privilege, and we are treading on holy ground by letting the Lord use us to bring his healing and comfort to others. We are ushering the person into His presence. God knows even more than the “prayee” about the situation. Sometimes the people we’re praying for have a hard time articulating their need. God knows what is going on, and we can pray in confidence that He understands, even when we don’t. Praying for others can give us a “prayer shot.” Although this doesn’t always happen, sometimes God lets us see comfort or healing delivered and received. How wonderful! Remember, the results are not up to us. We need to take the pressure off of ourselves. God promises us that He is working. How he does this is up to Him. Our calling is to pray. Taking the time to care for yourself and other intercessors will strengthen you and fill your prayer tank back up, allowing you to continue to bless others with the powerful gift of intercession. Great insights, Jane. Thank you for this post.